A broken windshield is both an eyesore and a safety hazard. That’s why it’s important that you fix it as soon as possible. But, you might be wondering, does the damage on your vehicle warrant auto glass repair or replacement? To answer this frequently asked question, the collision repair specialists at your local ABRA Auto have put together a guide discussing both types. Check it out below! 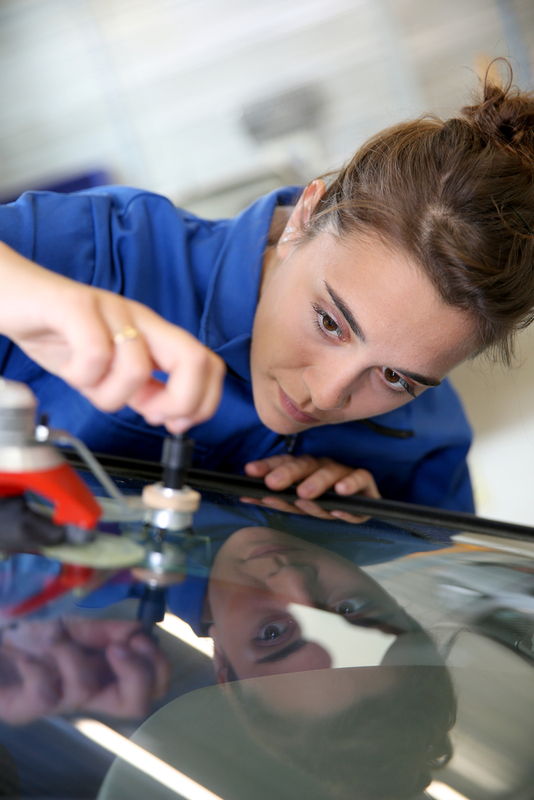 Auto glass replacement is best suited for severe windshield damage. The general rule of thumb is if the crack is bigger than a dollar, then you need to replace the windshield. Here, an auto body technician will remove all the broken or cracked glass and replace it with new glass that has been safety tested. Doing so ensures the structural integrity of the windshield even after a major collision. Auto glass repair, on the other hand, is best suited for small cracks or chips caused by hail or road debris. A specialist will treat the blemish with a special resin, creating a seamless match with the original glass. Because it’s a fairly simple process, professional auto glass repair is quicker and more cost effective than replacement. Trust Your Local ABRA Auto for Both Services! Whether you need a chip filled or a whole new windshield, ABRA Auto can help. Led by a team of trained specialists, this local collision repair shop has been a leading provider of auto glass repair and replacement for over 30 years. To find the location nearest you or learn more about their comprehensive auto body services, visit their website.